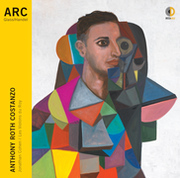 In Arc, countertenor Anthony Roth Costanzo oscillates between Baroque master George Frideric Handel and modern opera giant Philip Glass. His debut release on the Decca label is nominated for a 2019 Grammy in the category of Best Classical Solo Voice. "I say that Handel defined me and Glass changed me, and I wanted to see if somehow might they work together," says Costanzo. "In a way, I began to see Handel as this proto-minimalist, doing what Philip Glass was doing, but just in a different way." Costanzo's focus extends beyond technique--in keeping with his view of opera as a unifying experience. Arc documents the sweeping emotional highs and lows that Handel and Glass portray. "There are a handful of moments in life when we go through these heightened emotional experiences, and we're not really equipped to deal with those moments," says Costanza, "But in opera we can see them with perspective and through the lens of beauty." Listen to KUAF: Fayetteville AR - Of Note host, Katy Henriksen in conversation with Costanzo.